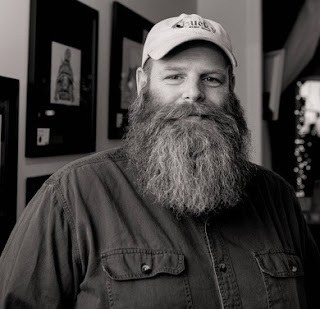 I was on Facebook last week, I just finished releasing one of my videos when I got into a conversation with Frank Misa of “The Culinary Institute of Shaving” We had gone back and forth about shaving soaps when Frank brought up Uncle Jon’s. I never heard of the company. Frank was sure that I would find them amazing. I had to see for myself so I wrote Jon Conley a letter and he was more than happy to send some samples out to me. A little background about Jon first. I asked him how he got into soap making and here’s what he had to say. “I got into making soap because my wife wanted to start the journey toward reducing some of the chemicals from our every day life. We started with a laundry soap recipe that she found online. I hated the recipe right from the start because it was complicated and made an inferior product. So, I set out to make my own powdered form. After about 6 weeks of using the laundry soap, my wife asked if I could make her bath soap. I knew nothing about the process at all but was wiling to try. I read all the materials I could get my hands on and watched over 50 hours of soap making videos on YouTube. Once I had a few successful batches, the whole thing just took on a life of it's own. People wanted to know if they could buy our soaps all the time. So we started a small side business where we attended farm markets and craft shows for the better part of the last 5 years. Back in May of 2015, I decided to open a brick and mortar store and go full time with making soaps and bath products right in my little shop in Berlin, MD. When the parcel arrived it held a Business Card, letter and three samples. 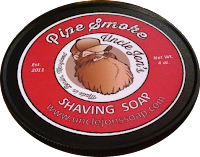 Bay Rum, Cedar Lodge and Pipe Smoke. The letter read feel free to shoot me any questions you might have. So I open my first sample Bay Rum a classic scent. This brought me right back to the barbershop chair when I was a kid. The next one Cedar Lodge was spot on cedar wood. It was very much like entering a room made of cedar just build. The last one, Pipe Smoke hooked me right away. A sweet tobacco scent of cherry and Vanilla. This is the one I based my article and video review on. I can’t talk much about the packaging since I received sample size tubs but I can talk about the awesome company logo. Jon has updated his company logo to a caricature of himself. I could see this being on Mugs and T-Shirts for sure. The logo is going to be a great spokesman for his product line. 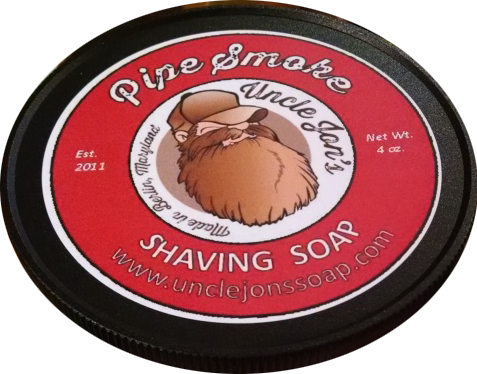 Jon’s Pipe Smoke scent is so good your eyes will widen as well as your smile the second you take your first sniff. The Cherry Pipe tobacco is way up front with a pinch of vanilla, it’s on the sweet side but has a spicy element to it. In a word outstanding. For this lather & Shave I used my Captains Choice bowl, Nathen Clark Custom Brush and Scotch & Stowe long handle razor. Once the brush touched the soap you could see the lather starting to build. The scent was increasing too and began filling the den. It didn’t take long before I had a thick, creamy rich lather ready for the face. During my shave I had no issues regarding slickness & glide and it ended with a nice post shave feel. I asked Jon about any new things on the horizon. “As far as new stuff in the works, we are always looking for new products to make or new variations for our existing products. Right now, I'm working on a couple new scents for our bath soaps for spring and possibly a couple new scents for our shave soaps. Jon has winner here. I have to say his cherry tobacco scent conjured up images of my uncle when we used to visit as a kid. I could see him in his easy chair smoking his pipe, I remember that same scent.